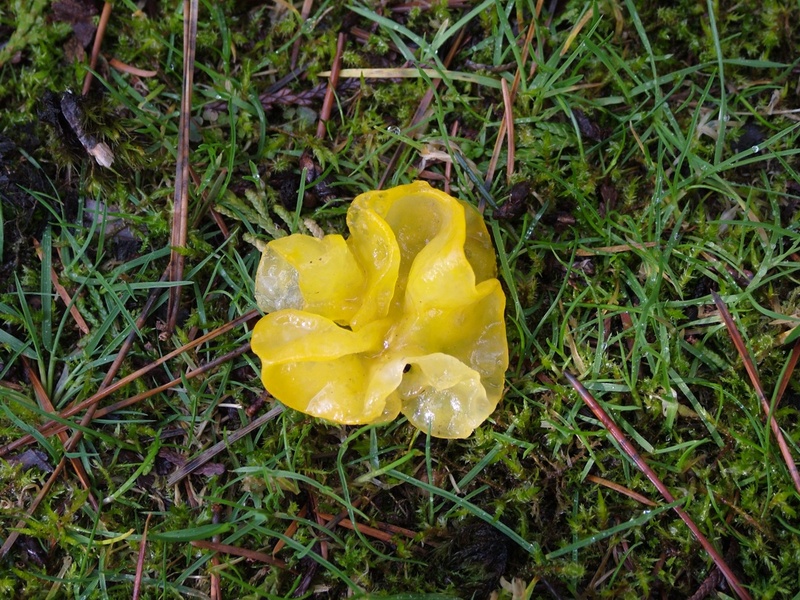 Last May I posted an image of a strange, gelatinous, yellow organism, which I had photographed a few years ago at a little park overlooking Snoqualmie Falls in Washington state. I guessed it to be a fungus. About 2″ – 3″ in diameter, it lay in a damp, grassy area strewn with pine needles frequently misted by the nearby falls. A few days ago, I posted the photo on the Project Noah web site as an “unknown spotting” and today received notice that it has been identified as “Witches’ butter—Tremella mesenterica” along with a link to a brief Missouri Dept. of Conservation article on the fungus. Project Noah was launched in 2010 from New York University’s Interactive Telecommunications Program to mobilize citizen scientists and build a “digital butterfly net” for the 21st century. It’s a wide-open digital platform for documenting the world’s organisms and collecting ecological data. Once my photo was identified, I was able to view many other images of Witches’ butter that have been posted to Project Noah from all over the planet. There are already 682,256 spottings of various organisms posted to the project. It will be interesting to see how all that data will be sorted, analyzed and interpreted.